I’ve been saving this one for you guys since last year! 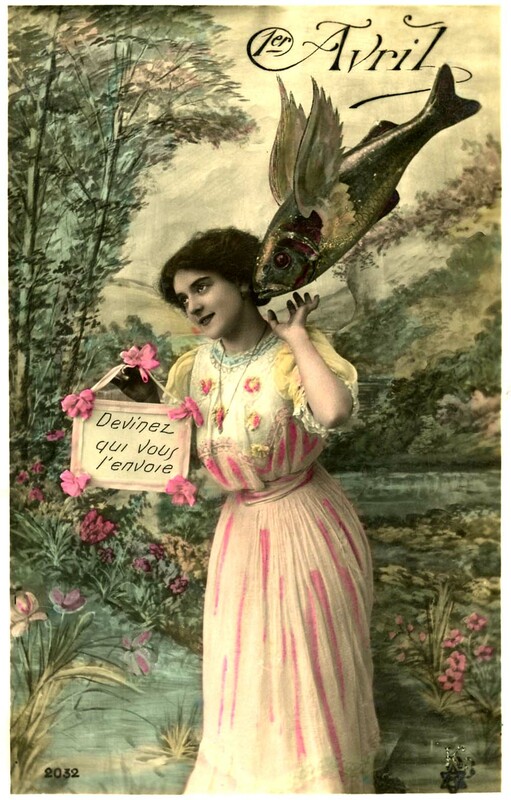 This is a French April Fool’s Day Postcard. The card shows a pretty young Woman that appears to be receiving a kiss from a Flying Fish! So cute! 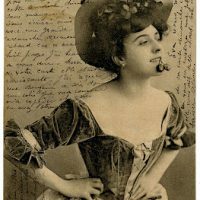 Carte Postale – Sassy French Woman Vintage Paris Chocolat Label with Crown and Wreath- Ooh la la! Fancy French Iron Work Image! I love that photo.Happy April fools day. I will be back over and over again to use more of your images you are a true inspiration. Thanks. Merci pour cette carte humoristique et si vintage.